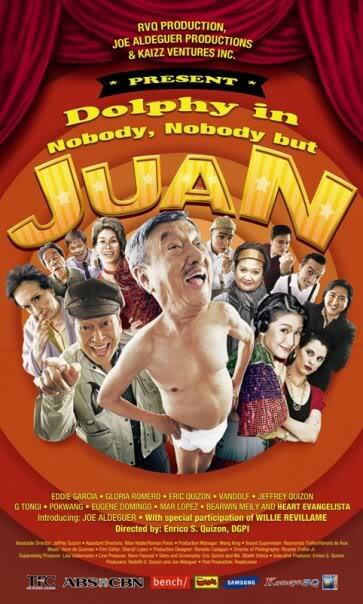 Juan is a senior citizen who lives in a nursing home in the United States. In his younger days, he was a vaudeville performer who was part of a comedy duo called Wan and Tu. The younger version of Wan is portrayed by his son Epy Quizon while Tu is portrayed by his other son, Vandolph. Nobody, Nobody But... Juan is a Philippine comedy film released on December 25, 2009 as an entry to the 2009 Metro Manila Film Festival. The title is a take on the Wonder Girls song "Nobody".